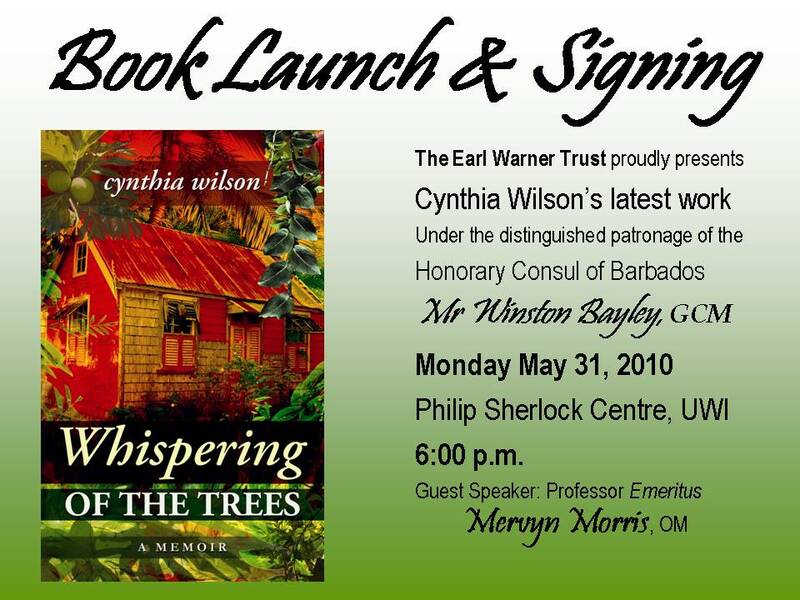 The launch of Cynthia Wilson’s memoir, “Whispering of the Trees”, is back on for Friday, July 9th in the Multifunction Room of the Main Library, University of the West Indies, Mona at 6p.m. Cynthia was one of the first recipients of the Earl Warner Lifetime Achievement Award for her sterling contribution to the development of the arts in Barbados. This was only one of many honours bestowed on her, including an Honorary Doctorate from the University of the West Indies. This memoir is her fourth published work.